In a Strange Land: Shift of Emphasis at Blog...or the End? Now it can be told: little is happening that interests me professionally in virtual worlds. So what to do? The exodus of educators seems ongoing and inevitable. I no longer recognize the promising world online that, in the picture above, had me thinking that we were on the cusp of a revolution. While our VWER meetings used to pull in 30 or more in a week, we now log about 13, that luckiest of numbers. And the topics are recycled too often. And so would mere whining on this blog. Iggy is not in Second Life at all, save for a weekly meeting of our Virtual Worlds Education Roundtable and a single use of Usher in the Spring semester. Choice One: this blog changes with the times. Tech on campus has raced past the era of CPU-intensive virtual worlds to what students hold in their palms. I would hate to just write about mobile technology so I'd expand to technoculture with an academic focus. Virtual worlds would crop up from time to time, as the situation merits. Choice Two: End this blog to focus on the campus ones that look at writing. I'm working on an anthology about online communities, too, and most of them are not related to virtual worlds. So by January I'm going to face a tough call about "In a Strange Land," the blog I began in 2007, when our local daily paper tried to shift with the times and ride the brief and fleeting hyperbole about Second Life. They failed. So did Second Life, in terms of changing the culture of how we work online. Stay tuned for that decision (if you are still reading this). If the current crop of Doomsday predictors are right, on Dec. 22 I won't have to make a decision. For me professionally and personally virtual worlds is growing larger than ever before. On a personal level I am learning more with OpenSim using a Standalone. Once I have a product I am happy with I will consider a more public view to it. The professional level of virtual worlds is growing with the use of Unity as it is browser based. Unfortunatly, in some circles OpenSim gained the reputation of SL even though that have zero tolerance for that. On the point of meetings the biggest problem is the day and time. It is at just such a bad time that it falls right in the middle of meetings. Virtual worlds have grown for be both professionally and personally. Professionally as an Associate Professor I will be allowed to design new simulations in Unity. Personally, I still do work in OpenSim using a Standalone and may eventually show my work. In regards to meetings it is just at such a bad time when I tend to have meetings. Putting it into Hibernation seems sensible to me. A new world with a new focus will come and at that point one could continue the work. Trying to refocus is always difficult, since you might miss the target audience. I always found it more sensible to start a new blog when I had a completely different focus in mind. So give Papi enough slugs and shine, so he can guard this place. Yours is one of the few blogs I read from time to time. Your sentiments are not too different from what I am hearing from other long time bloggers. My suggestions are that you drop the SL emphasis and broaden to write about technology-and-education in general and only post when you feel you want to share something relevant. You past blog work exists now as excellent reference and historical work on a particular point in an era and would continue to be of value as time passes. Perhaps even an E-book is in the tea leaves? I think to just "end it" would bother you more down the line. Rethink it, tweak it, play with it. It is, after all, what was on your mind for 5 years. I'm going with the shift-of-emphasis camp and throwing in a new blog, as well. Do both. Cuz, like, you don't have enough to do already, right? I enjoy your view, so any topic you find interesting I'd be willing to read about. 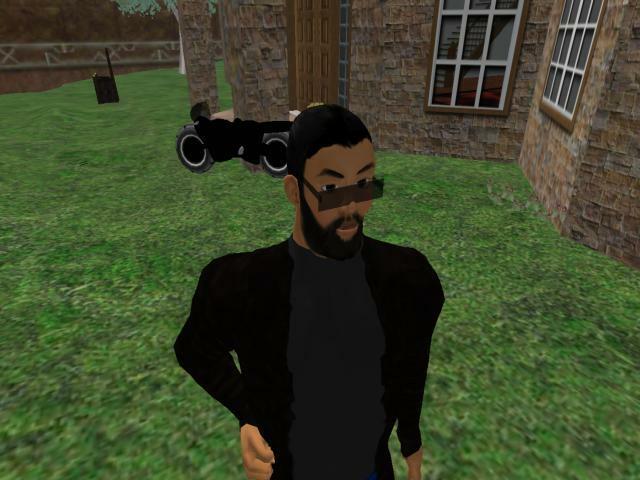 Personally, Second Life has run it's course with me. Mainly because I keep getting bumped out. (It's not my connection. I've tried it many ways.) Also, SL seems to have served its purpose of letting me explore in ways I couldn't offline. Mission accomplished. In other news, virtual worlds are collapsing (see: Glitch). No one knows quite what to do with them. Like in the early days of the web. Eventually, someone will figure it out. In my opinion virtual worlds are not collapsing. The problem is that at the beginning educators mainly used only SL as a virtual world environment. Now, some use SL, OpenSim and Unity based virtual worlds. Also, more often than not educators do not share what they have learnered or they stick in smaller groups. Also, going to the comment in decreases of attendees at meeting is not all related to the time of the meetings...though it is a big factor. It is when it comes to meeting topics only a small fraction of suggested topics gets accepted. I have submitted several and none have been accepted.